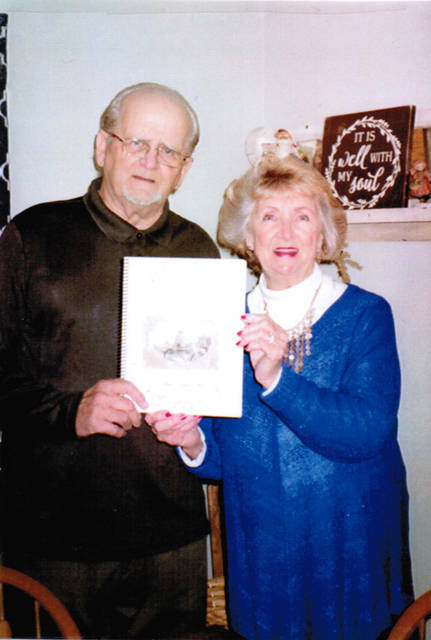 Gene and Marilyn J. Fritz compiled a booklet about growing up in Pitsburg. PITSBURG – A local couple has compiled a booklet about growing up in Pitsburg. The booklet covers a time era from the mid-1940s to the 1970s for the five children of the Virgil Charles and Malinda (Henninger) Fritz family at their home located on the main street of Pitsburg. The oldest son, Virgil (Gene) Fritz has offered some pictures and stories of Pitsburg along with a few clippings from his employment with the City of Greenville for 30 years. The booklet was arranged by Gene Fritz’ wife, Marilyn J. Fritz, in December 2018. To purchase a copy, email Marilyn Fritz at Fritz1356@roadrunner.com.